I’m excited to be traveling to Finland soon to start the season on the World Cup. This will be my first year starting on the World Cup, and I’m looking forward to the experience of competing with the best in the world. I have nine guaranteed starts through the first part of the season, but I’ll be working hard to earn my keep on the World Cup for the rest of the year! I’m honored by the opportunity to represent Alaskan skiing on the international stage, and thankful for the support of Girdwood 2020 to help me get there! Competing with the best-funded national teams would not be possible without grassroots support from Girdwood 2020. I’m currently in Park City, Utah with the U.S. Ski Team at our last training camp before the season starts. I head back to Alaska soon and I’m crossing my fingers, hoping I will come back to snow on the ground. Thanks again for supporting me on my quest to taking home gold! 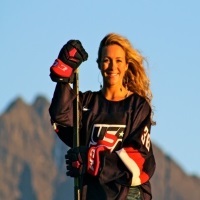 Without the support from the Alaska community and Girdwood 2020, I never would have had the opportunity to travel and compete all around the world and try to reach my childhood dream of bringing home an Olympic medal. Thank you so much! 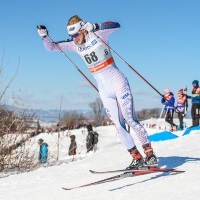 I just returned from a three week trip to Europe during which I trained in Austria, raced in the opening World Cup of the year in Solden, Austria, and also spent a week training INDOORS in Lithuania. The slope isn’t very long, but it’s a quick turnaround and the snow (ice!) stays very very consistent throughout the session. Over 5 days skiing I was able to get 76 runs of slalom in the gates. Over the past few seasons I’ve been focusing primarily on GS, but I’m confident I can ski just as in Slalom this year too! 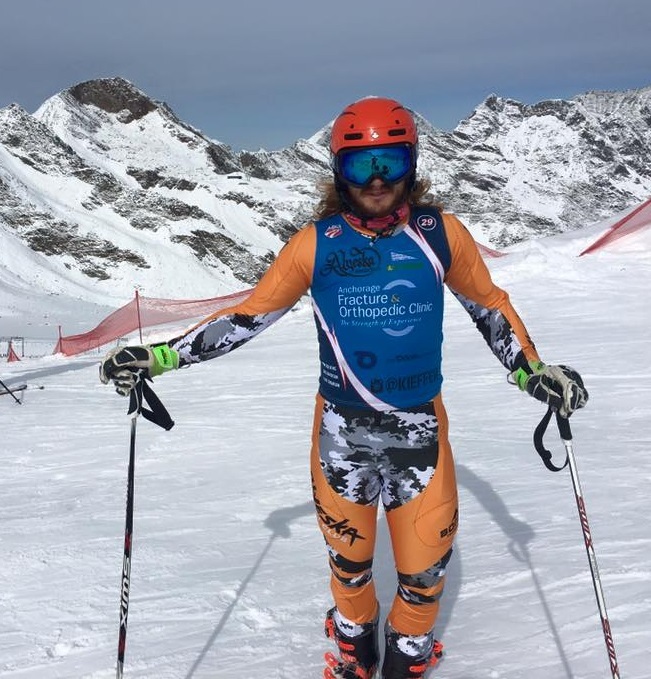 My goal is to keep competing in Europa Cup and World Cups when the schedule allows, but my focus is to win the Nor-Am overall title this year so I can go into next season with a guaranteed World Cup spot in every World Cup race. This will give me the best shot at going to the Olympics. 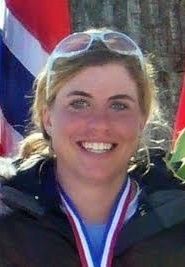 I am just about to complete a two and half week training camp in Park City with APU and the U.S. Ski Team. This camp (hopefully) marks the completion of what has been a big season of dryland training. My sights are set on improving my World Cup results and World Championships. 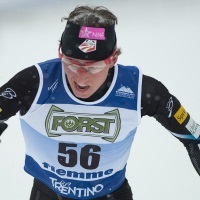 After spending 3 weeks on Eagle glacier this summer, I am feeling good about many of the improvements I was able to make over the course of the summer and am looking forward to putting them into action starting Thanksgiving weekend in Kuusamo, Finland. 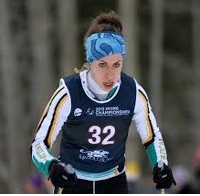 I am currently training hard in preparation for the 2016-17 USSA Supertour season, starting in Bozeman, MT, in December. 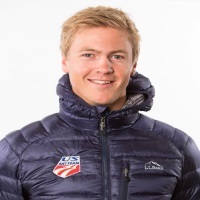 This season I am focusing on strong performances at U.S. Nationals in early January and Spring Nationals at the end of the season, which will help me reach my long-term goal of racing on the FIS World Cup. Outside of skiing I am graduating with my Masters in Business Administration from APU in December, and am looking forward to spending my first Christmas in Alaska with (hopefully) lots of snow so I can ski all the fun trails around Girdwood and Anchorage. I’m currently in Boston training with my National Team teammates and also playing in the NWHL with the Boston Pride (in our women’s pro league out East). Ive moved out here for the season to be closer with my teammates as we approach our Olympic selections. I continue to stay involved in the community at home and get back to Alaska as much as I can.